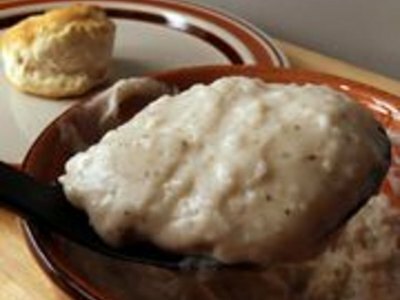 Whether you are making pot roast, chicken fried steak or hamburger steak, nothing finishes off beef better than a homemade gravy made from drippings. Many cooks insist that it is difficult to make a decent gravy. However, there is a way to consistently make a delicious gravy each time. 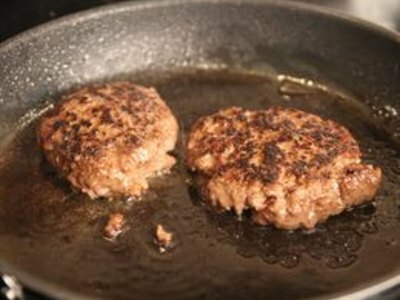 Remove the cooked beef from the pan and set it aside. Place another skillet or saucepan on the stove. Turn the heat under the skillet or pan to low. Measure 2 tbsp. beef drippings, trying to get the clear fat on top of other liquids, into a skillet or saucepan. Let it heat up. Measure 2 tbsp. all purpose flour and stir into the drippings. This is called a roux (pronounced ROO). If the meat wasn’t seasoned, sprinkle salt--generally 1/2 tsp. for 1 cup liquid--over the roux. Stir and cook the roux for 3 to 5 minutes to remove the raw flour flavor. 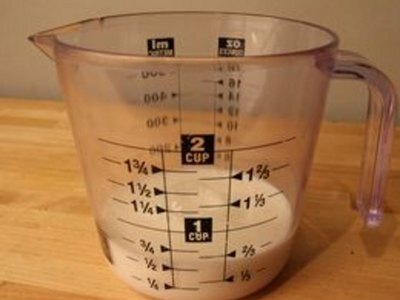 Measure 1 cup of liquid. What liquid you use will depend upon what beef you cooked and what type of gravy you want to serve with it. 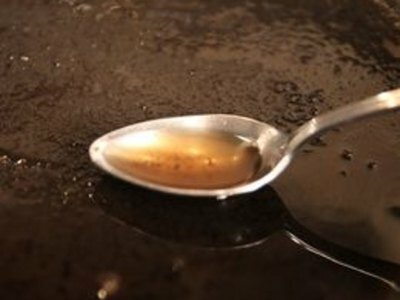 If you want a brown gravy for pot roast or hamburger steaks, use water or beef broth. 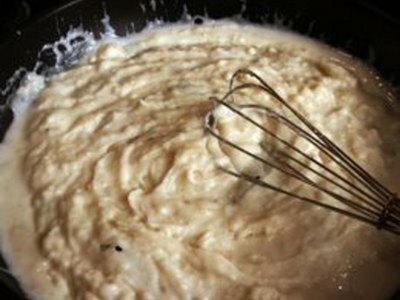 If you want a cream gravy for chicken fried steak, use 1/2 cup water and 1/2 cup milk. Pour the liquid into the hot roux while stirring. The gravy should begin to simmer and thicken soon after that. Taste it to adjust the amount of salt. Continue simmering and stirring until it reaches the desired thickness. You can pour the gravy through a strainer to remove any lumps. If you need to increase the amount of gravy and don’t have enough drippings, add butter. You can also use wine in the liquid part of the gravy. The gravy will continue to thicken after you remove it from the heat, so don’t over cook or add additional flour to thicken.